Set the mood for your guests before they’ve even stepped foot into the main room. 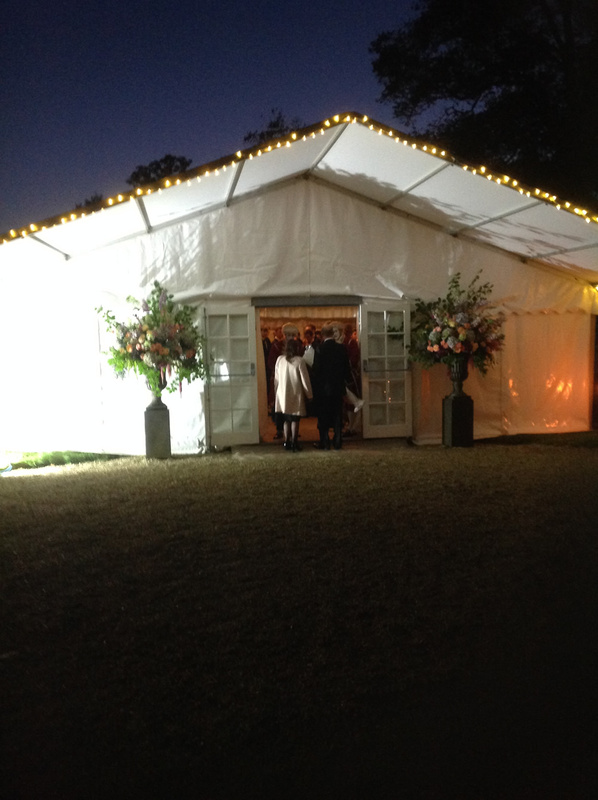 Our Entrance Marquees are a beautiful and ambient way of extending your party out for new guests. Attaching on to the marquee of your choice, they stand in their own rights and can be easily dressed to match the theme of your event. 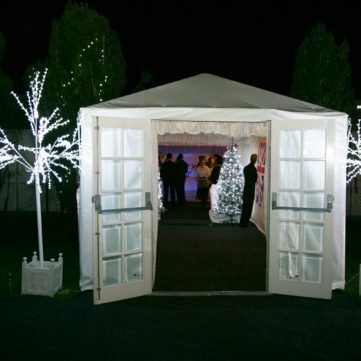 Here at Southwest Marquees, we have a wide selection of Entrance Marquees available to suit your requirements. 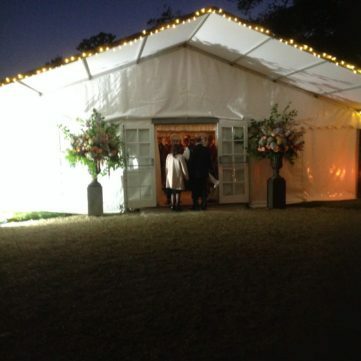 When fitted to one of our traditional marquees, they provide an entrance hall – leading your guests into the magic of your event while providing pre-celebration shelter from the elements. 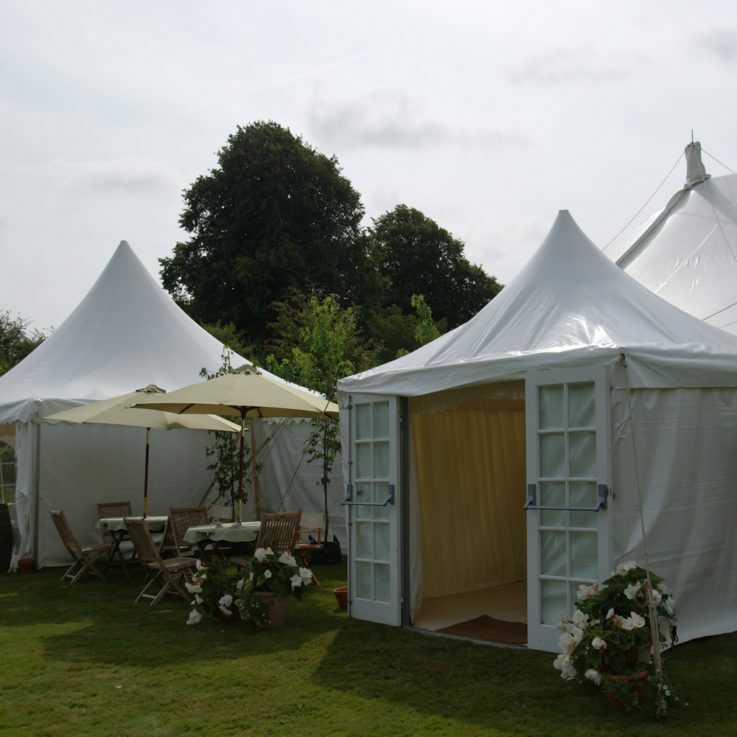 Many of our past clients choose Entrance Marquees as practical cloakrooms, providing an area where guests can discard their over-garments and walk into the party looking divine. For newlywed brides and grooms, an Entrance Marquee provides the perfect home for dinner table plans or guest books – offering those who celebrate with you to enjoy peace and quiet while jotting down a few handy tips of advice. No matter the celebration, we ensure that your Entrance Hall is dressed to impress, causing your guests to let out audible gasps of appreciation as they walk through. As one of the leading supplier of luxury marquees in the South West, we are proud of our extensive collection of Entrance Marquees. 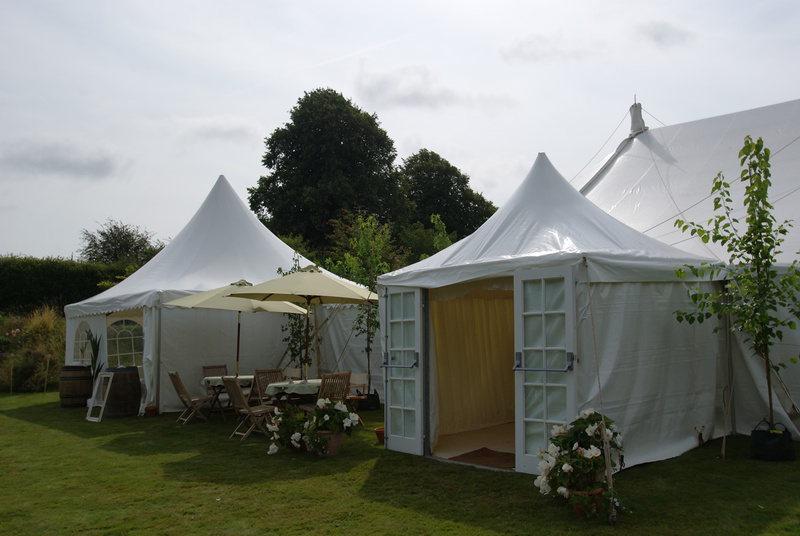 Whether you’ve fallen for our unique Chinese Hat Pagodas or seek maximum space with our Clearspan Marquees, we have the perfect solution for you. These spaces can be fitted with normal walls and roofs or used to create an awning-type space. 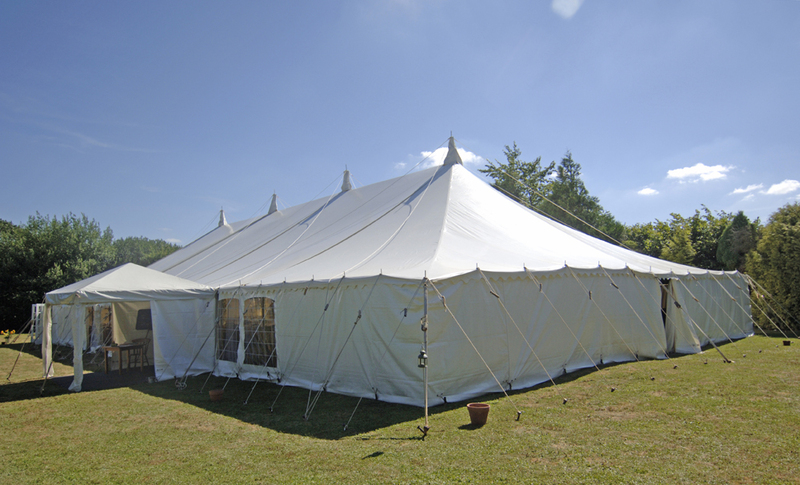 In addition, we will dress the marquee with linings, carpets and lighting in a style to suit your event – ensuring that your celebration experience is seamless from the second your guests arrive. In addition, for those seeking something truly elegant, our French Doors make a charming addition to Entrance Marquees as well as providing a barrier against heat loss. Contact us today for more information. 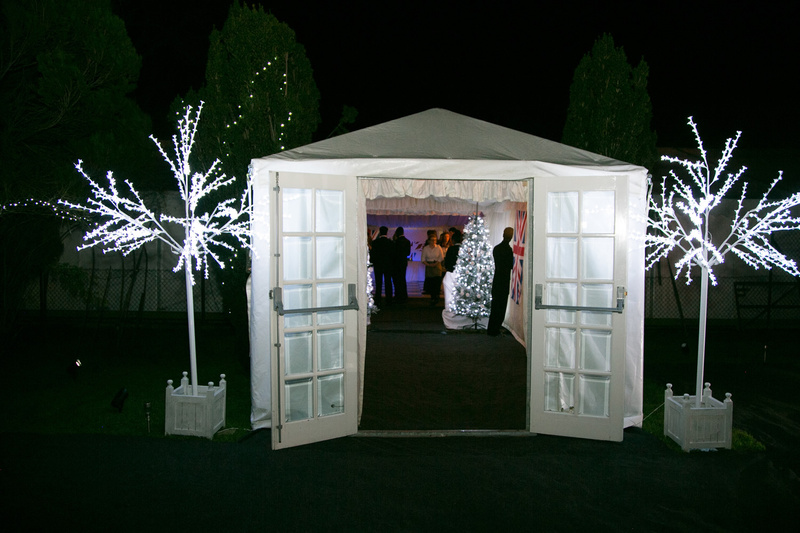 At South West Marquees, we provide marquees all year round, our French doors are a great addition to an entrance marquee to keep the heat inside. Please pass on our heartfelt thanks to the team for the lovely marquee we had at the weekend – it looked fabulous, was the perfect size and the teams on Thursday and Monday did a great job. The party was lovely, made by the weather, we just need more rain for the grass to recover. Thank you for doing such an incredible job. Just wanted to say a massive thank you to your crew for doing such an incredible job. Jarek, Aran and the guys have been incredible. They have bent over backwards to accommodate us, and have been an absolute pleasure to deal with. Again – your crew is great. It was way beyond our dreams. A big thank you for all your hard work for helping us create a magical environment for our wedding celebrations. It was way beyond our dreams (given the slightly difficult landscape!) and we really appreciated your competence and confidence in your ability to make it work for us. We felt in very safe hands.